These muffins are a heart-healthy treat. They taste decadent, but they are actually quite healthy. 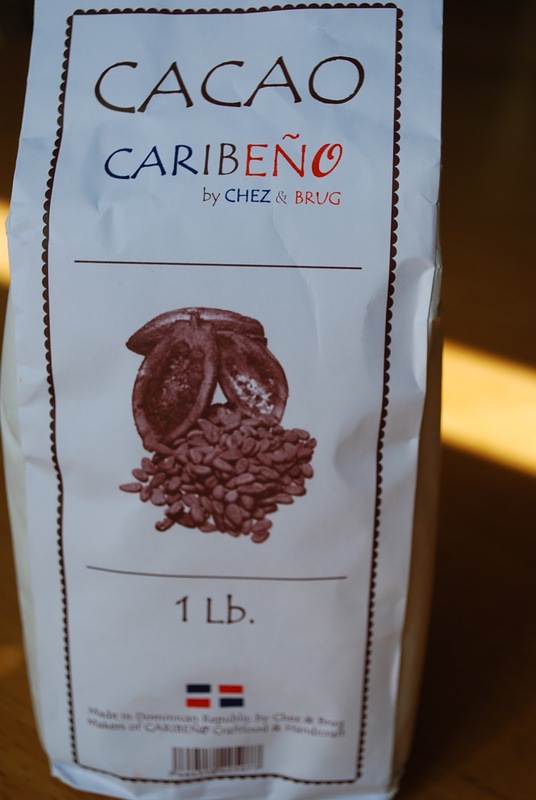 I wanted a good excuse to use the ground cacao that I bought on our recent trip to the Dominican Republic. The Dominican Republic (also known as Hispaniola) plays a big part in the history of cacao farming. This island was one of the first locations outside of Central America where cacao was transplated by the Spanish. Since I am a chocoholic, I had to bring some of this ground bliss home with me, as well as some dark chocolate….. It smells so amazing! Heat oven to 375 degrees. Place paper baking cups in a 12 muffin pan. Place cereal in a food processor and pulse until finely ground. In a medium bowl, mix cereal with buttermilk and let stand for 5 minutes. Stir in the oil, vanilla and egg until combined. 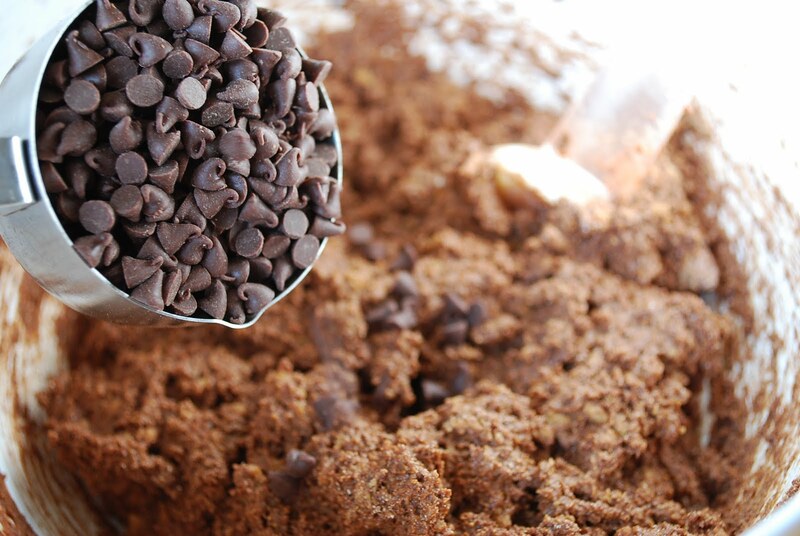 In a separate bowl, combine remaining ingredients except the chocolate chips. Combine flour mixture and wet mixture. Stir until combined and then fold in the chocolate chips. Divide batter evenly among muffin cups. Bake for 15 to 20 minutes or until toothpick inserted in the center comes out clean. 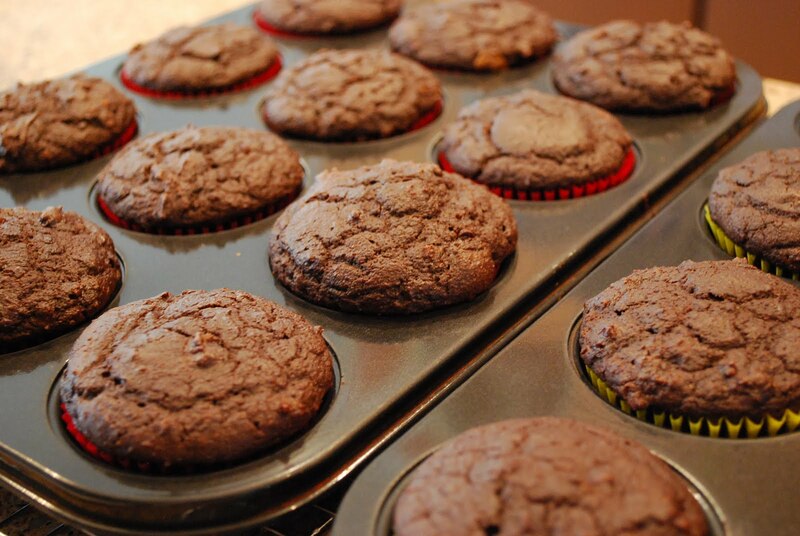 Immediately remove muffins from pan and cool on a wire rack or serve warm. I love to split these in half and fill with a tablespoon of natural peanut butter. It’s a like a warm reece’s cake without the guilt. Place paper baking cups in a 12 muffin pan. Place cereal in a food processor and pulse until finely ground. In a medium bowl, mix cereal with buttermilk and let stand for 5 minutes. Stir in the oil, vanilla and egg until combined. 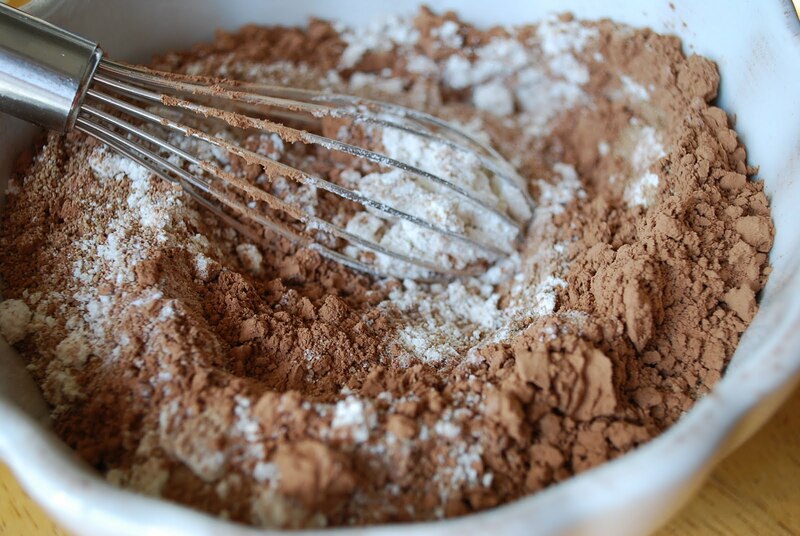 In a separate bowl, combine remaining ingredients except the chocolate chips. Combine flour mixture and wet mixture. Bake for 15 to 20 minutes or until toothpick inserted in the center comes out clean. Immediately remove muffins from pan and cool on a wire rack or serve warm. Yum – printing this one out and making it asap. Sounds like you guys are doing great, happy and healthy. WOuld love to see you when you’re back in my neck of the woods!! Take care. Amee – these look awesome!! Your post struck a chord in my heart…my aunt and uncle were missionaries in the DR many years ago. More recently, my brother and wife have made two trips to DR delivering shoeboxes for OCC. They’ve hosted the man in charge of OCC for DR in their home…he saw a picture of my aunt and realized it was because of their ministry he came to know the Lord years before. Isn’t God just amazing and mighty???? WOW! Thank you, Denise! I hope to get back up there soon. 🙂 Marsha, that is awesome. What a special service they gave to the Dominican people. It is a great country. I found the people to be warm and very personable. We hope to go back again sometime.